One of the greatest things about technology for me is the time it saves me running around to different stores (with two young children in tow!) and the ease with which I can order things online! Because of the Internet, I haven't had to set foot in an eyeglass or sunglass store FOR YEARS!!!! So where do I order my husband's glasses? Coastal.com is where I go and I highly recommend them for your prescription glasses and designer sunglasses! My husband has gotten several pairs of glasses and sunglasses from Coastal.com before and he has always LOVED them! Coastal.com is the world’s largest online eyewear company. Coastal empowers its customers to easily browse, try on and buy eyewear online—saving time, money and sanity. They have over 1,000 styles of frames on their site, and if you're a first time customer the first pair is free! We received a great pair of glasses and sunglasses from Coastal.com for my hubby and he LOVES both pairs and wears both almost everyday! His favorite pair were the Joseph Marc Sun 4110 Gunmetal sunglasses. 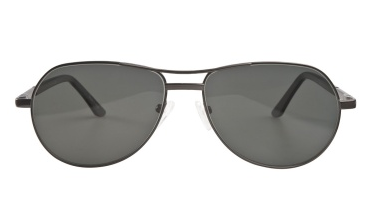 He loves the aviator shape and they were a perfect pair to receive for the spring sun and warm weather! 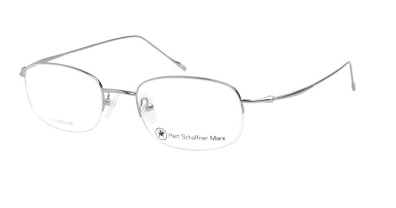 He also received the Hart Schaffner Marx T104 Graphite Weave 52 prescription glasses because his other glasses weren't fitting very well. It was so easy to order his prescription with these glasses and these ones fit perfectly and are really comfortable to wear! This is now his "everyday" pair and he feels lost without them! With Mother's Day coming up, you may be at a loss for what to get your Mother this year. Well, what woman doesn’t love a new pair of fabulous glasses or sunglasses?! Head to Coastal.com and find the perfect pair for Mom from their wide variety of designer and private label brands at incredibly affordable prices.